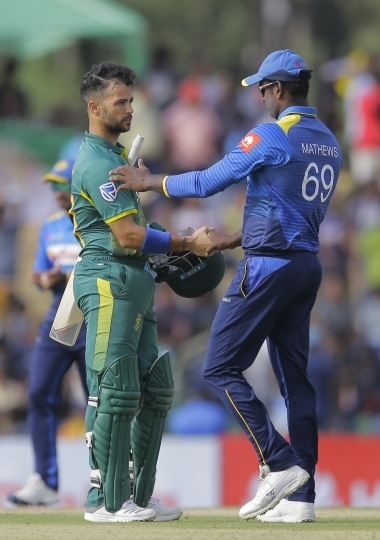 DAMBULLA, Sri Lanka — South Africa thrashed Sri Lanka in their opening cricket ODI, reaching the winning target with 19 overs to spare on Sunday. Sri Lanka chose to bat first but the decision backfired badly with the hosts all out for 193 in 34.3 overs. In reply, South Africa reached 196-5 in 31 overs to win the first of a five-match series by five wickets. 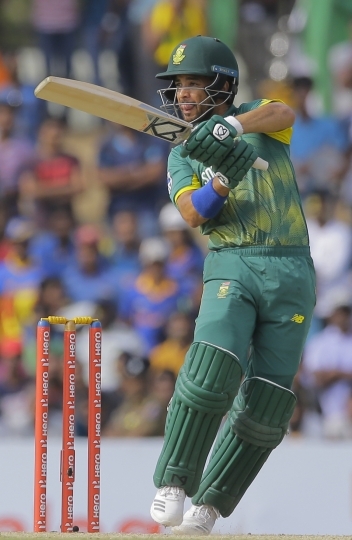 Undefeated JP Duminy (53 off 32 balls), captain Faf du Plessis (47 off 56) and opener Quinton de Kock (47 off 59) were the main run providers for South Africa. Sri Lanka was in deep trouble on 36-5 before Kusal Perera (81 off 72) and Thisara Perera (49 off 30) shared a 92-run partnership for the sixth wicket, taking the hosts to 128-6. Tabraiz Shamsi was chosen ahead of Keshav Maharaj as the lone specialist spinner for South Africa and took 4-33 in 8.3 overs.